Dry Eye Syndrome is a chronic, progressive disease, with many causes, that can be well managed by a specialist. Dryness of the eye surface can cause many symptoms, including: eye redness, irritation, soreness, grittiness, foreign body sensation, watering, fluctuating vision, fluctuating glasses prescriptions, contact lens intolerance, and even less than optimal eye surgery results. LipiFlow is one component of a customized Comprehensive Dry Eye Treatment Program from Eye Physicians of Long Beach, that can help your symptoms, keep your eyes healthy, and your vision clear. A Dry Eye evaluation by a specialist, including testing, and examination, is needed to determine if you would benefit from LipiFlow. A Lipiscan, a painless picture of your eyelids, allows your specialist to look for meibomian gland blockage, thickening, shortening, and loss. These findings, as well as your overall exam, allow your specialist to determine if you would benefit from LipiFlow. 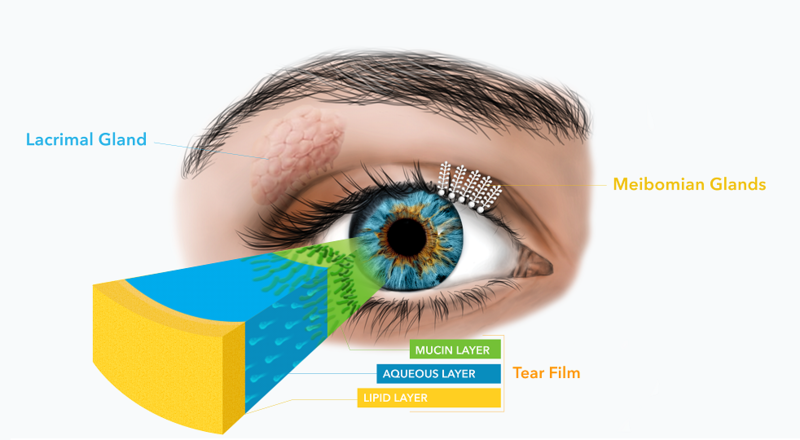 LipiFlow is a medical treatment that utilizes warmth and gentle pressure (thermal pulse technology) to treat Meibomian Gland Dysfunction (MGD), a leading cause of dry eye syndrome. Located inside the eyelids, healthy meibomian glands produce a thin oil, known as meibum, This meibum helps to prevent tear evaporation, keeping the eyes moist and comfortable. Thickening of gland secretions causes blockage of meibomian glands, which leads to a poor tear film, and eye dryness. LipiFlow treatments successfully unblock meibomian glands so they can produce healthy oils and restore moisture to the eye. During the procedure, sterile “activators” are placed under and over the eyelids. The activators contain a protective shield for the delicate surface of the eye, protecting the eye from the gentle heat and pressure of the treatment. Once the activators are in place, the treatment begins. The LipiFlow system applies warmth to the inner eyelids, liquifying thick gland secretions. Once gland secretions are liquid, a therapeutic massage is applied to the eyelids, releasing thick oil from the blocked glands. Once the glands are cleaned and open, over time, the glands produce a healthier, thinner oil, resulting in a healthier tear film, and less eye dryness. Also, allowing the meibomian glands to function more normally, reduces the rate at which the glands are lost. Once meibomian glands are lost, they cannot be restored. The actual procedure takes about twelve minutes. The procedure is not painful. Many patients describe a sensation similar to a gentle massage to the eyes. You may experience a little discomfort the first hour after LipiFlow, but it will go away quickly. Yes. It has been approved as a medical device by the Food and Drug Administration (FDA) after many years of research. Like most treatments, however, there are certain eye conditions for which the LipiFlow procedure is not recommended. 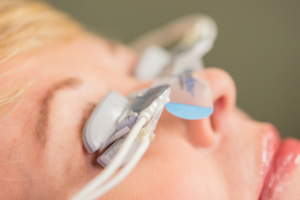 Patients who have had a recent eye injury or surgery, severe eye infection, or ocular surface abnormalities may not qualify for LipiFlow treatment. Consult your Ophthalmologist to discuss the benefits and risks of LipiFlow for your eye condition and overall health. What to Expect After LipiFlow? Patients do not usually experience instant results after LipiFlowtreatment because the glands need time to produce the oily protective film. It usually takes 6-8 weeks before maximum improvement of symptoms. Many patients feel great relief of their discomfort as a result of the procedure. LipiFlow treatments are not permanent. The positive effects usually last about 12 months, and the procedure can be safely repeated. Curious if you are a candidate for LipiFlow? Please call or email to arrange a consultation at Eye Physicians of Long Beach Dry Eye Center of Excellence! !